With astronomical attendance figures and constantly growing, seven-figure prize pools, E-Sports, or competitive computer gaming, is rapidly carving a reputation as the world’s fastest growing sport. 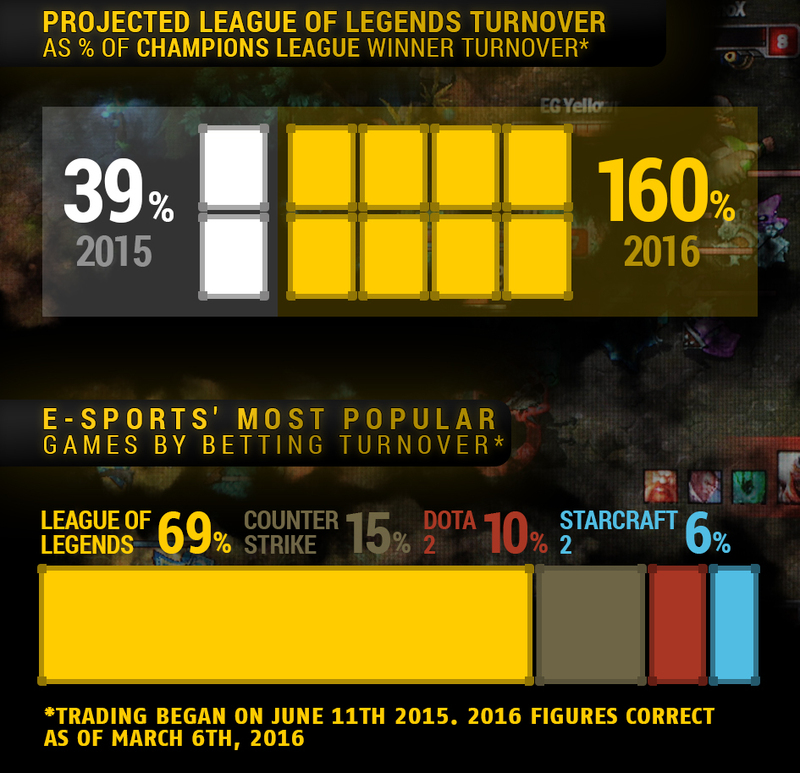 So much so, that betting turnover on League of Legends has eclipsed Champions League winner market takings so far in 2016. Fanatics and detractors could debate the validity of the aforementioned statement at tedious lengths, but we’re not here to do that so it’s going to stand for now. 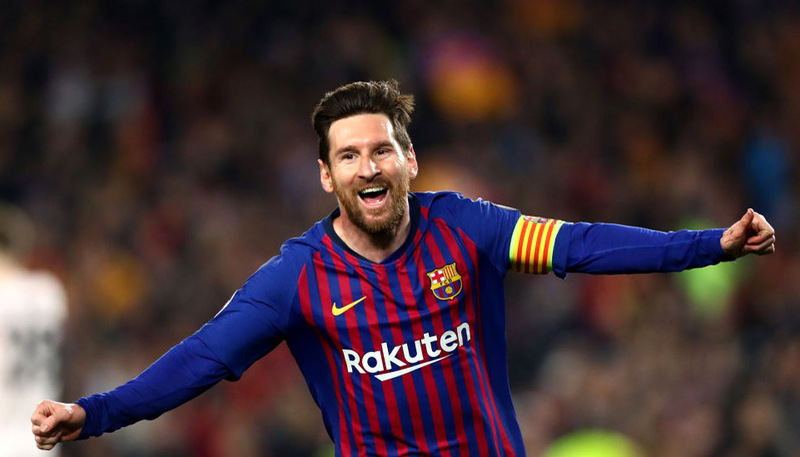 It may not strike as a legitimate sport on the surface, but the rapidly-swelling revenues bwin.com have turned over on E-Sports means it’ll be overshadowing plenty of commonly accepted athletic disciplines in the betting business before too long. Indeed, on a certain scale, League of Legends wager-making could potentially surpass the Champions League in terms of bets placed. 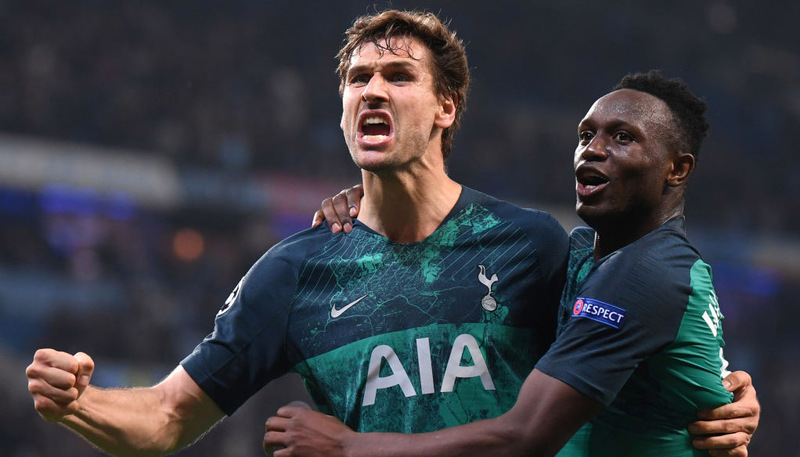 Yes, assuming the figures the firm posted for takings on the Champions League 2014/15 winner market remain around the same level this season and the E-Sports upturn continues to steepen at the same rate, more bets will be made watching teams strategising the path to League of Legends glory than will be placed on who will be crowned footballing kings of Europe this term. 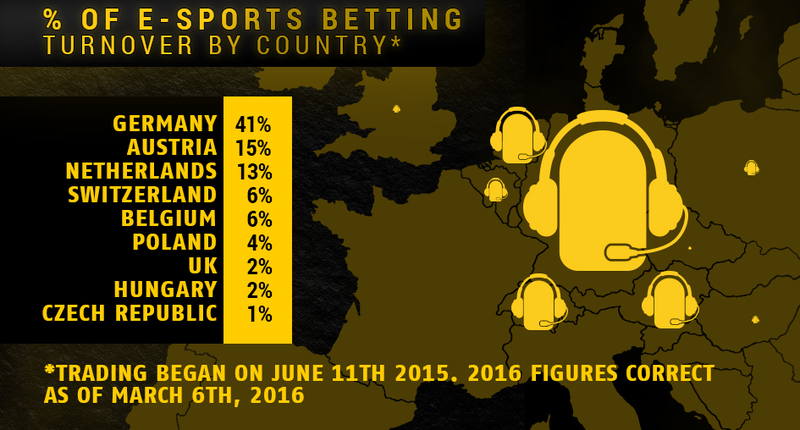 Our research also shows those countries keenest on E-Sports betting, with most of the money bwin made on the matter coming from Germany. Their place atop the rankings is a commanding one, with over a third of the punters (41.36%) stationed there. Austria (15%), the Netherlands (13%), Switzerland (6%) and Belgium (6%) complete the top five of the most prolific E-Sports bettors on the planet. Canada (1%) are the highest ranking non-European nation, suggesting there’s plenty more growth for the game to make on a global scale. As if expansion wasn’t enormous enough at present. 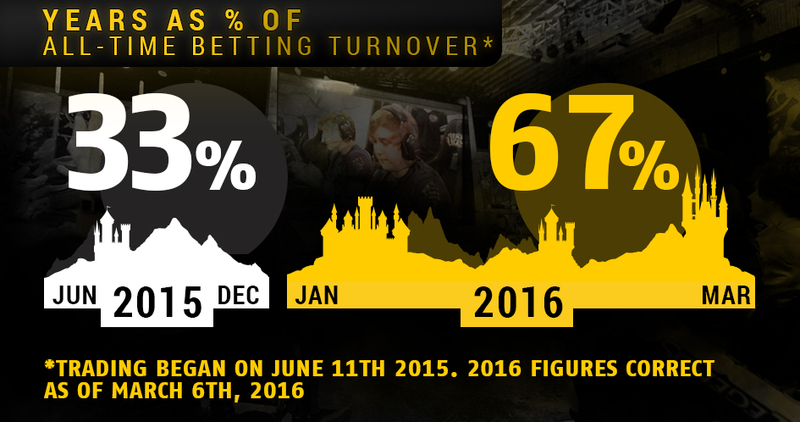 Just 66 days of 2016 represent a staggering two thirds of bwin’s total E-Sports takings, which began in June 2015, an increase over 312%. This blistering increase in such a short time is arguably the greatest indictor of just how popular watching other people play computer games is becoming. 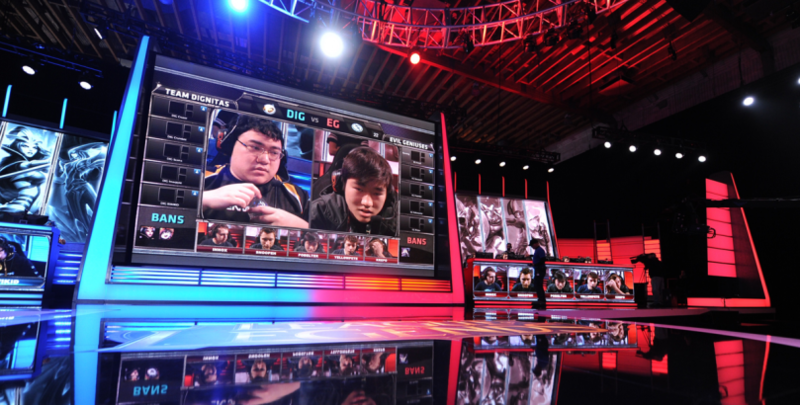 Should this astounding progress continue, expect E-Sports to be rubbing shoulders with football as the bigwig of betting in the not-too-distant future.